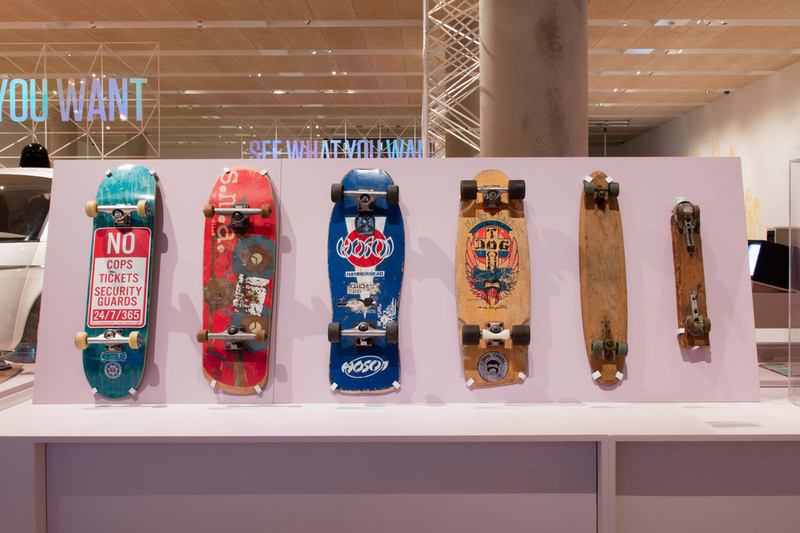 The iPhone and the skateboard may not instantly seem like objects that would sit easily alongside each other in a design exhibition but they are connected by two powerful concepts. One: they are both great designs, and two: they have both brought, in their own way, personal liberation. The curation and naming of a new exhibition at the Design Museum – California: Designing Freedom – explores how designers based in ‘The Golden State’ have delivered personal freedom in all kinds of ways from midway through the 20th century right up to today. 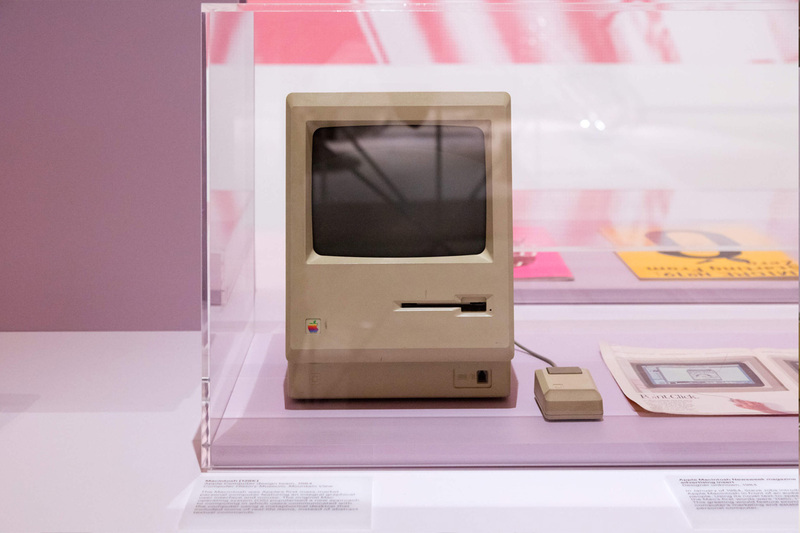 Picking up the story in the 1960s, the exhibition charts the journey from counterculture to Silicon Valley’s tech culture. Its central idea is that California has always pioneered tools of personal liberation, from LSD and surfboards to personal computers and user interface designs that shape some of our most common daily experiences. The exhibition is curated in five themes that each explore different facets of this freedom. 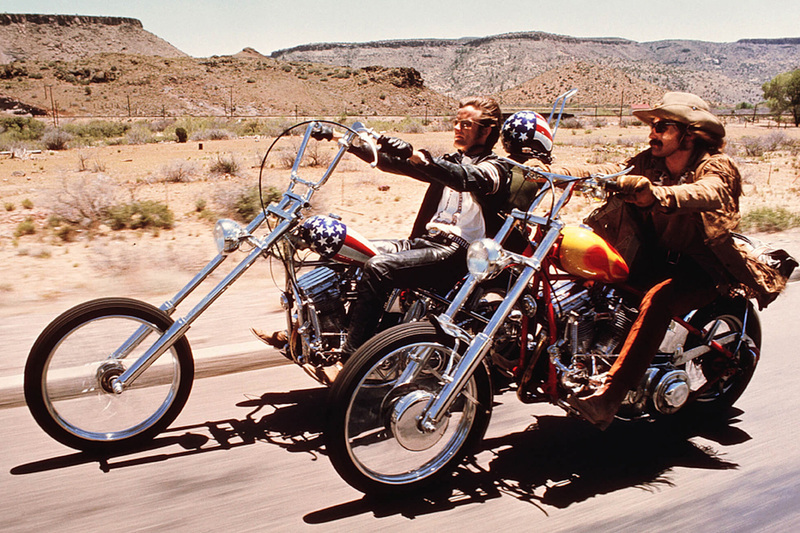 For example, GO WHERE YOU WANT looks at how design ideas from California have championed freedom of movement, from the Captain America chopper of 1969 road movie Easy Rider to Google Maps. SEE WHAT YOU WANT explores the land of make-believe, from acid trips to videogaming, while JOIN WHO YOU WANT examines how the ability to create your own community brings freedom, whether it be a hippy commune or a group on Facebook. 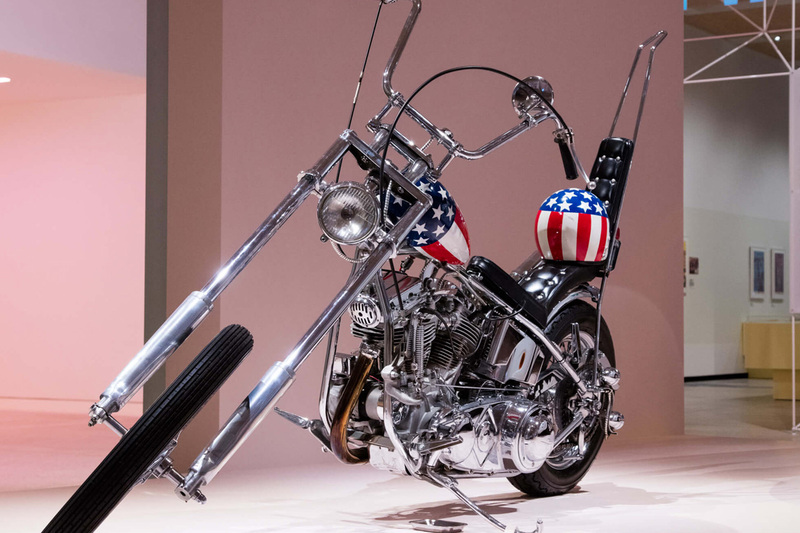 The exhibition is packed with insights into Californian designs that have profoundly influenced the way we live today. 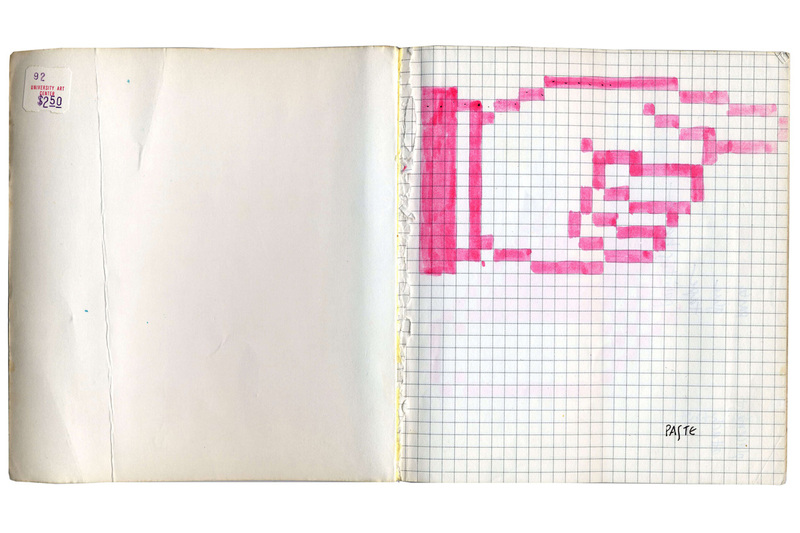 In the grid-ruled notebooks of graphic designer Susan Kare it’s clear to see how Apple understood from the get-go the importance of humour and familiarity in translating the computer – a device that had hitherto belonged only to the corporate or the military world – into something people would understand, trust and welcome into their homes. Kare famously developed the smiling Mac icon, displayed as the computer booted up, along with the lasso, paint-bucket and trash can, transforming the cold and intimidating early desktop computers into something friendly. 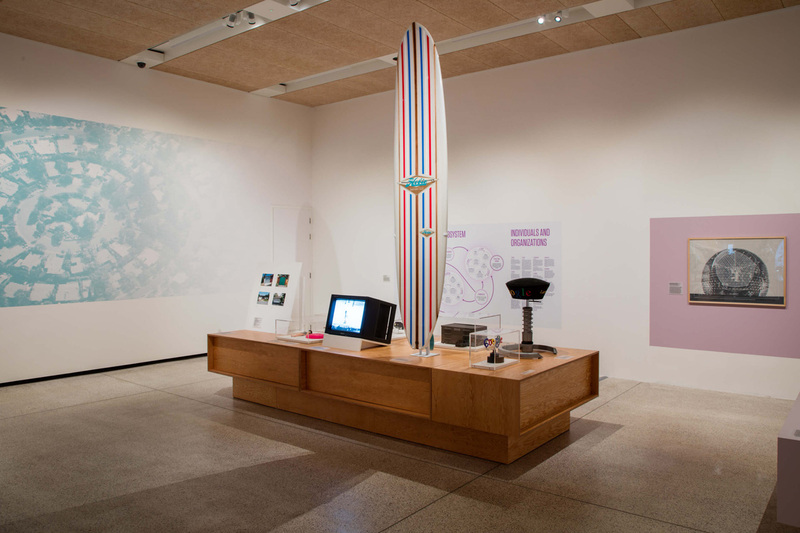 We love this exhibition because great design inspires and drives us, and what’s on show here makes clear how great design can not only make life easier but can also be empowering. Designs born in the sunny state of California have impacted so many aspects of our lives. On a drab Tuesday afternoon we can all remember that, in many ways, we are now all Californians.